American School will attend the Texas Homeschool Convention to be held February 12-14 in Fort Worth. American School is pleased to be an exhibitor at the Texas Homeschool Convention to be held February 12-14 at the Fort Worth Convention Center. 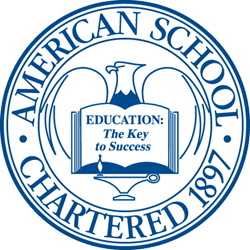 Those attending the convention are invited to visit American School’s booth on Thursday, February 12, from 6-9 p.m.; Friday, February 13, from 9:30 a.m.-8 p.m.; and Saturday, February 14, from 9:30 a.m.-5:30 p.m. to learn more about American School and the educational services it provides to students and schools. American School has been a leader in distance education since 1897 and has helped more than three million students across the country and around the world earn their accredited high school diplomas. Students wishing to earn the American School’s diploma choose either General High School Program or College Preparatory Program, both of which contain 18 units of credit. A full, four-year paper-based diploma program costs $2100 and includes all study materials, and access to the password-protected Online Student Center, where students and parents can view grades, access help sheets and homework web sites, and contact American School instructors and staff members. A full, four-year online diploma program will be available later this year. American School also offers individual paper-based and online courses to students with an existing homeschool curriculum and to students who attend brick and mortar high schools. The latter group takes individual courses through the Independent Study Program, which thousands of schools use each year to help their students graduate on time. Individual courses, including ten different world language courses offered through a partnership with Rosetta Stone, typically cost between $150 and $300, and students who take individual courses receive the same Online Student Center benefits as those students who are working toward their American School diploma.